TROPIC GARDEN Tropic Garden Apartment wears a Western trait of both classical and modern architecture. For supplying superior amenities, also, The Tropic Garden Project owns a large tropical garden surrounding the building. 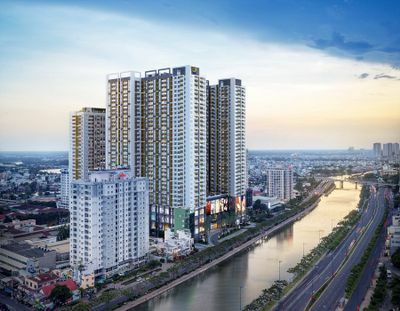 No more places than Tropic Garden Apartment to be the best choice for residents wanting to live in the peaceful environment besides Saigon River. Certainly, you will have a very special feeling when seeing both green views and luxury villas. With the scale of Tropic Garden is 5 blocks in 27 high floors, 1008 apartments, Tropic Garden Apartment brings residents an ideal place with a quiet, green and fresh air space, no matter how young or old residents are. In combination with a healthy environment and exquisite interior decoration with reliable construction, Tropic Garden Apartment brings high-quality apartments without no your pleasure. In the hectic life, Tropic Garden Apartment entirely meets residents’ expectations of peace-loving life. 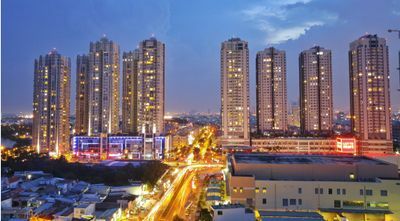 Locates in the center of Thao Dien New Urban Area, residents in Tropic Garden are accessible with Metro No6, Metro 7 (Line Ben Thanh – Suoi Tien, District 1, District 7, Binh Thanh District, District 9). 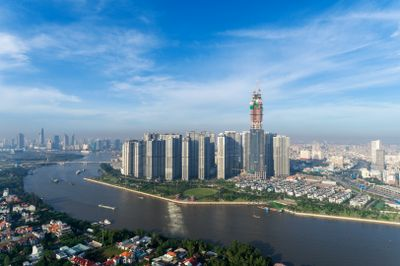 Not only so, in future, Ha Noi Highway – Dong Tay Avenue is about to widen for residents’ traveling. Owing to geographical benefits, from Tropic Garden Apartment: - There are 2 kilometers from Tropic Garden Apartment to New administrative Thu Thiem Center; - 2 kilometers from Tropic Garden Apartment to Binh Thanh District; - Far away 5 kilometers to District 9; - Take you 5 minutes from the Tropic Garden Apartment to Metro An Phu Supermarket; For the development of high standard services for the customers, investors focus on all of the internal conveniences with an objective of creating the best services. Coming to live in Tropic Garden, residents totally take advantage of all conveniences including: -Mini library in Tropic Garden apartment with a fascinating place for your day-off with loving articles -You will entirely experience in real and happy life in Tropic Garden apartment with conveniences namely: +Swimming pool 570sqm with clean and opening space; Spa, Gym/ Yoga with Running round will make you feel better thanks to many modern technical tools +Outdoor BBQ with the moment uniting your family +Shopping mall, Restaurant -Cleaning and Laundry with high security 24 hours In addition, Tropic Garden is near BIS school in Thao Dien (just a few steps to school on walk), Marina high school, The Australia International. Each of them is an entirely suitable choice for your children. 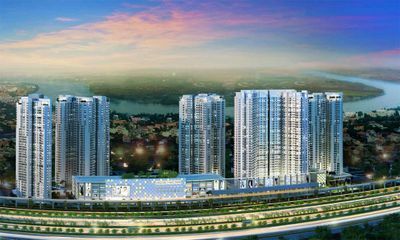 In the radius 3 kilometers of Thao Dien Area, residents certainly enjoy in great amenities such as Parkson, Cantavil, Metro and Big C. After days of living in Tropic Garden Apartment, you can hardly find another great feeling in the other area. An attractive place for you not only get together with your family, your friends to rest in peace but also easily afford to services apartment prices.